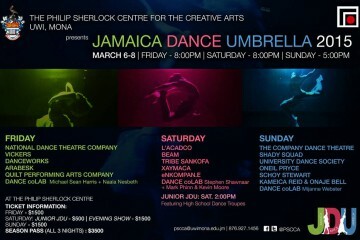 The first ever Jamaica Dance Umbrella is coming up this weekend, starting Friday March 6 at the Philip Sherlock Center as part of the International Arts Festival being held there this month. In support of this event, YardEdge will be profiling a series of Jamaican dancers and choreographers who will be taking part in this showcase of Jamaican dance. 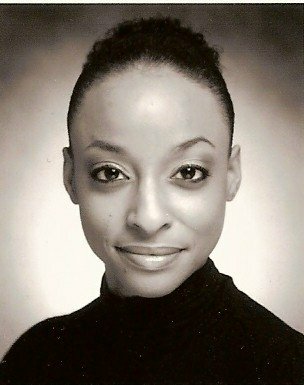 We start with Stefanie Belnavis, member of the National Dance Theatre Company. Stefanie: Being a dancer/choreographer is the most natural outlet of expression I have ever known. Stefanie: My work is inspired by every aspect of life. I love to explore things, people, issues, situations and concepts that are real and interesting, often times reflecting that of the abstract. The virtuosic style of moving appeals to my work a lot as I am intrigued by the varying shapes the body can make, the way in which the body can move and WHAT MOVES THE BODY. Social commentary is prevalent within my work but not always the focus. Stefanie: I practice Contemporary Dance with a focus on Release Technique and Dance Theatre. Stefanie: I am a member of the National Dance Theatre Company. Stefanie: My interests outside of Dance are very diverse. I love Fashion Designing/Merchandising (love the individiualistic nature of style), Interior Decorating/Designing and Photography. Stefanie: My goals and personal drive keeps me motivated. Staying positive is essential to good living. I also believe that words give you power so I often write. Stefanie: My parents had just moved to Kingston from St. Mary when I was three and my mother (a lover of the arts) enrolled my two older sisters and myself in Ballet lessons with Elizabeth Vickers-Samuda. I just liked to get dressed up in my pink leotard and frilly pink ballet skirt but what started off as being a hobby blossomed in to my life’s passion. Stefanie: –	Candodance (United Kingdom) – Educational Dance Company that works with able and non-able bodied children and adults. Stefanie: In 10 years I hope life would still have blessed me with great opportunities to express myself and impact those around me. I hope to be Certified Dance Therapist. Also, the Director of Jamaica’s very first Recreational and Rehabilitation Therapy Centre that will use Dance Therapy, Art Therapy and Music Therapy to promote body mind centering and body wellness. The Dance Therapy aspect will include the psychotherapeutic use of movement and dance through which a person can engage creatively in a process to further their emotional, cognitive, physical and social integration. This organization will also go out in the Jamaican community and hold educational workshops in schools, juvenile facilities and prisons to help with their rehabilitation. Stefanie: The growth within Jamaica’s dance world is simply phenomenal, as is evident in the varying Dance Companies and Dance forms that have emerged over the years. We are an undeniable people and undeniable talent! Stefanie: I would probably be learning Dutch, French, German and Japanese. Traveling is also another interest. Stefanie: I recently completed my Bachelor of Arts Degree in Dance at the Manchester Metropolitan University, United Kingdom in July 2008 where I explored the practical and theoretic aspects of Dance. I also explored the creative elements of Choreography and Performance as well as the professional aspects of becoming a Dance Artist. I am also looking in to doing my MA in Dance Movement Therapy in the near future. Stefanie: Yes I dance professionally. Stefanie: I try to centre my mind and focus on the performance, the story being told, the commentary being relayed, the audiences’ possible interpretation of my movement and the theme of the piece. Stefanie: With the coming of each day I get to see…I am that much blessed. Stefanie: Don’t measure your life by others values. Search deep and find what makes you happy no matter how long it may take you to realize it. Live for you and let life in. You can see Stefanie perform this Sunday, March 8 at the Jamaica Dance Umbrella at the Philip Sherlock Centre.